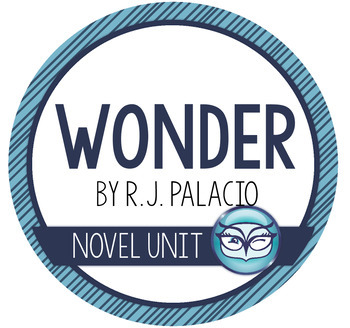 Wonder by R.J. Palacio is a highly engaging book to use to for teaching perspective, the theme, and deep comprehension skills! 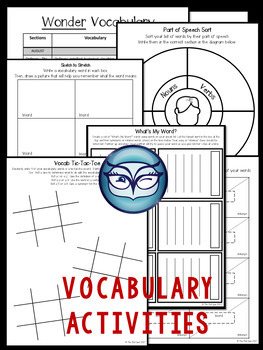 The detailed lesson plans and resources help you focus on character analysis and perspectives, story elements and theme. 1. 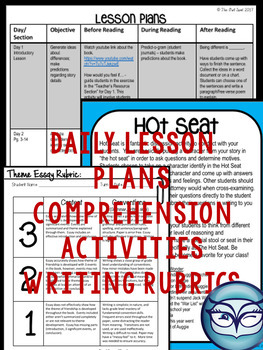 Detailed lesson plans divided into specific days. You have the right to change the amount of time you spend on each section, though, since you know the needs of your students. 2. 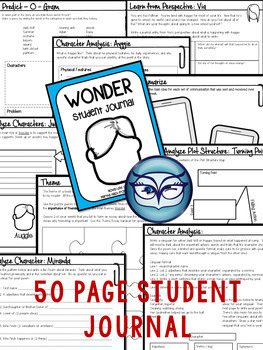 50 page student journal to help focus your students on deep, rigorous comprehension skills. Activities include: writing/summarizing from different characters' perspectives, analyzing characters, writing prompts, cause and effect, theme analysis). You can choose to staple all of the journal pages together for your students or give them the pages they will need when they need them. I found it easier to give it all to them, as I could batch all of my copying at once for the novel. Saves me tons of time! 3. Middle of the book test and end of the book test with answer keys. 8. Peace of mind that the planning is done for you and extra time to spend getting something else done on your long list of things to do! Make sure to check out the other fabulous novel studies and resources available at The Owl Spot! I’m continually updating and adding more products to help you save time and teach well. If you have any questions, feel free to leave me a question on my Q&A page . Also, be sure to leave me some feedback about this unit. By doing this, you will receive TpT credits to use towards your next purchase, and others will know what a great product this is.